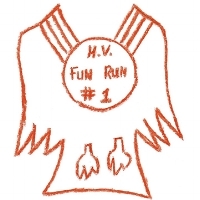 Since 2013, our Fun Run is Hidden Valley’s primary fundraiser. This annual fundraiser raises the money which helps us to provide over teacher grants, put supplies in classrooms, get new PE equipment, support landscaping upgrades, maintain funding for student clubs and student council and much more. A HUGE THANK YOU to all the kids, parents, volunteers, teachers, staff, community, and our generous donors for a successful Fun Run in 2017! Look for the new P.E. equipment, umbrellas, new library features, lunchtime activities, landscaping, emergency supplies, and other perks made possible by the Fun Run in the near future. Please donate for Fun Run using the Scholastic Challenge website. Thanks! We are fortunate to have the Ross Valley YES Foundation to support and fund the Theater, Music, Art, Poetry, and Assembly programs at our school. The YES Foundation is made possible by the generous donations of the District Families and Community.